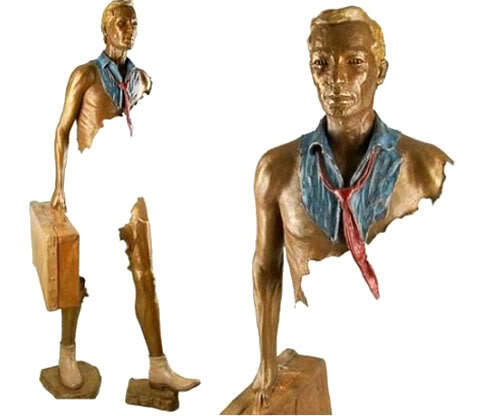 They say that people who sculpt never see the rock or hunk of metal or any other media when they look at it; instead they see the sculpture inside and they work towards freeing it. Sounds almost poetic but then that is the way a true artist must look at thing; the potential rather than the actual. 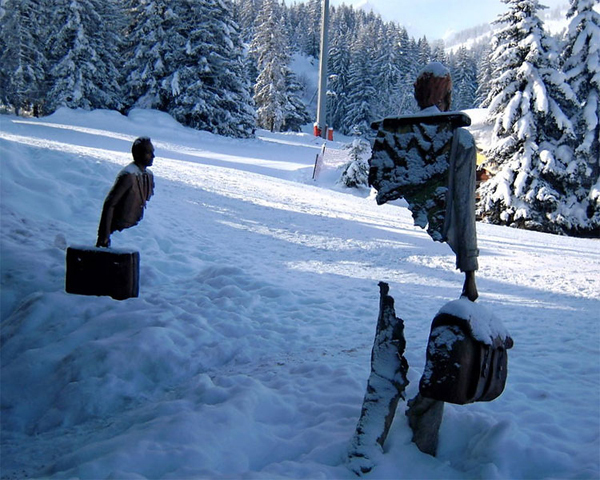 Well when it comes to sculptures we have been fans for a long time of the most famous sculptures across the globe for quite a while. After all who can resist the passion and feeling that these bits of metal and stone were imbued with. 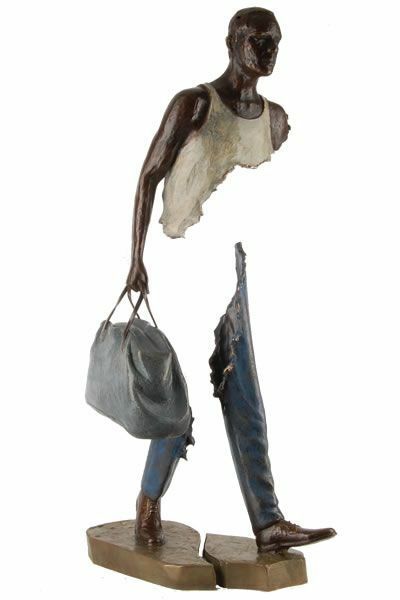 We get a different kind of admiration albeit with the same intensity today, when you look at mini sculptures that keep you inspired due to the sheer amount of work that has gone into them. 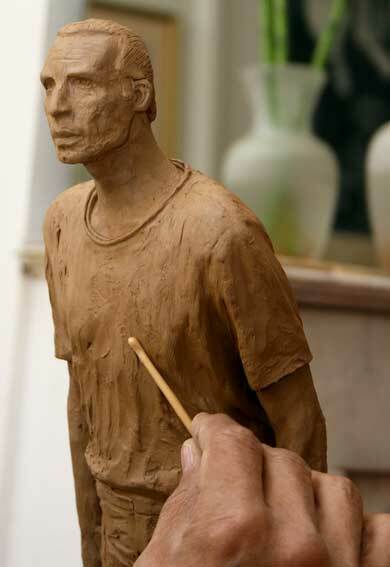 But in this article we are going to talk about the unique sculptures of Bruno Catalano. 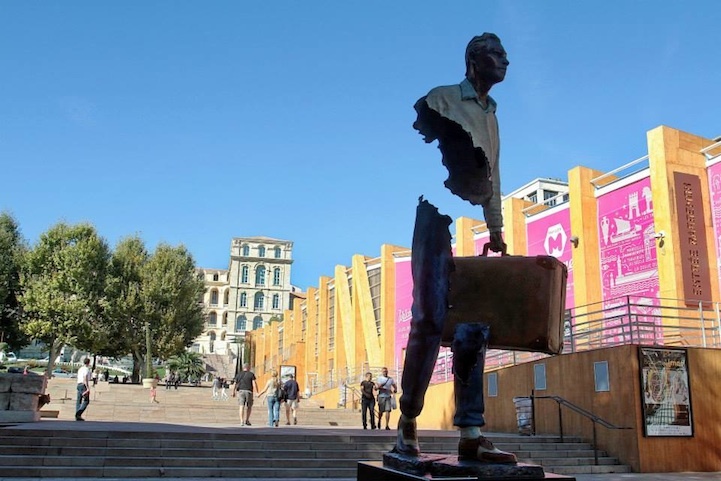 Why are the sculptures by Bruno Catalano so unique? You just have to look at a picture of one to be mesmerized by the unique sculptures – they all look incomplete or as if a giant creature has taken a bite out of them. 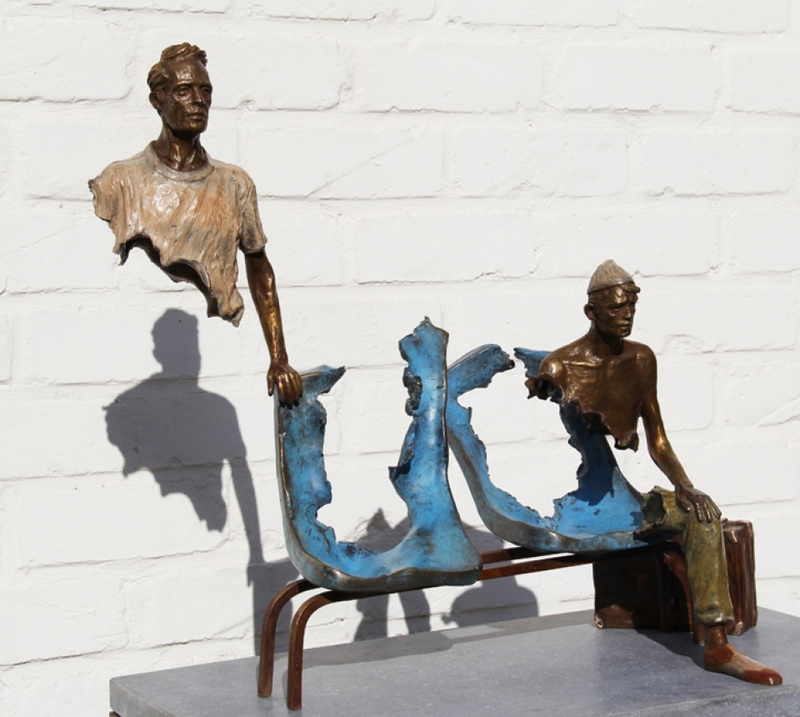 It is amazing how this artists born in the year 1960 in the southern region of France has come up with these imperfect creations that are perfect in their own way. 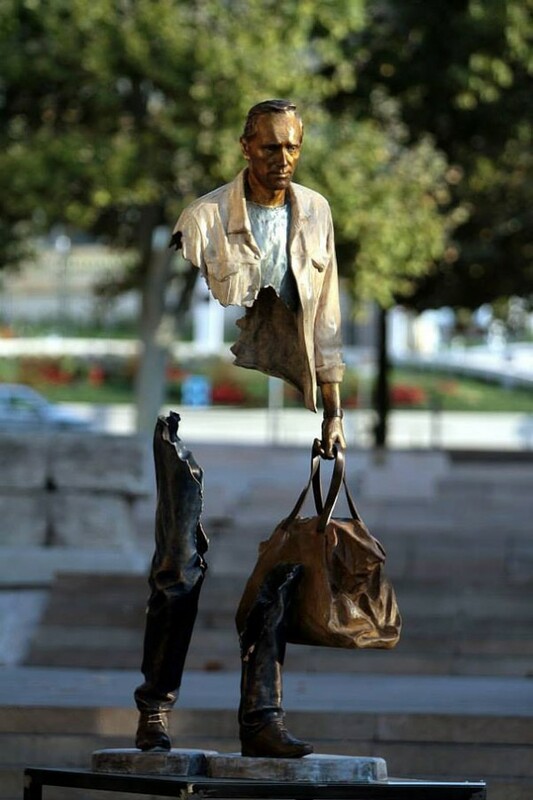 The first glance at one of his sculptures is always a sight that will leave you wondering if something dramatic happened to it. 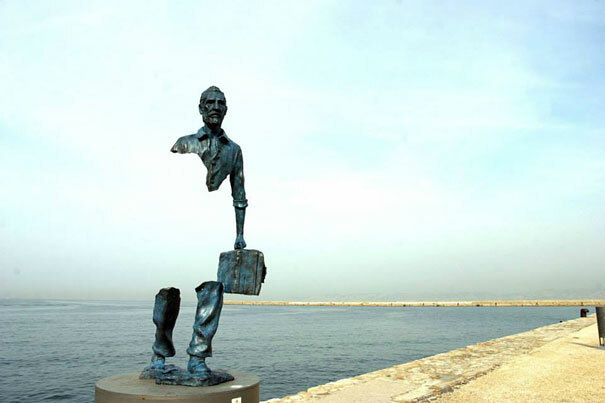 But then as you keep staring at it, it will dawn on you that the artist Bruno Catalano actually meant them to be like that. 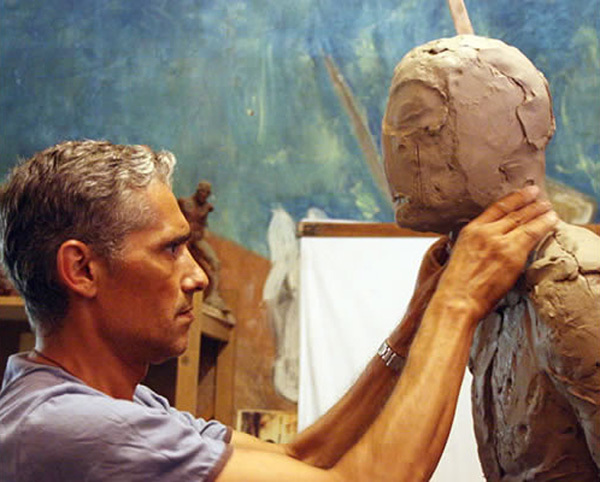 Once that sinks in, you wonder at his masterful skills at being able to pull off what he does with his sculptures. 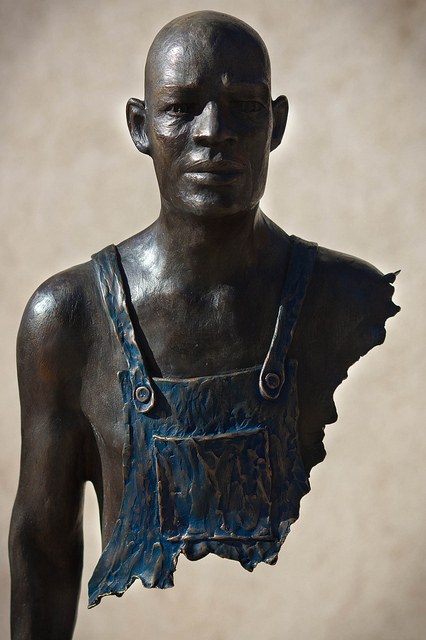 You will soon realize that his skill at sculpting in bronze must be remarkable. The thing you will soon come to know is that it takes a lot of mastery to make the sculpture look as if huge chunks are missing and yet making it stay together with the most minute of links. As you look at the statue in front of you, you will almost be scared of it collapsing at the touch of a hand, but the thing is that they do not. 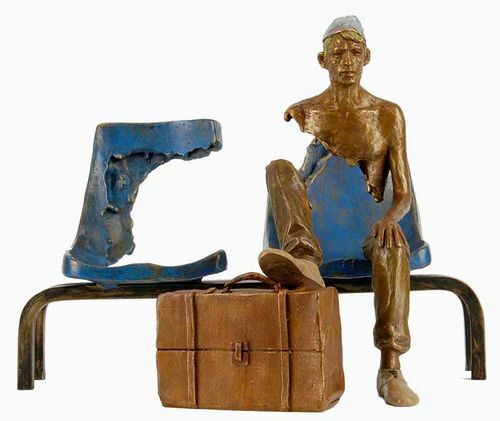 Bruno Catalano is often seen as showing a man traveling from one place to another with huge parts of the statue missing and the man is shown as looking sad and forlorn but carrying something in his hand. There is a link to the whole thing you will find very difficult to pinpoint. 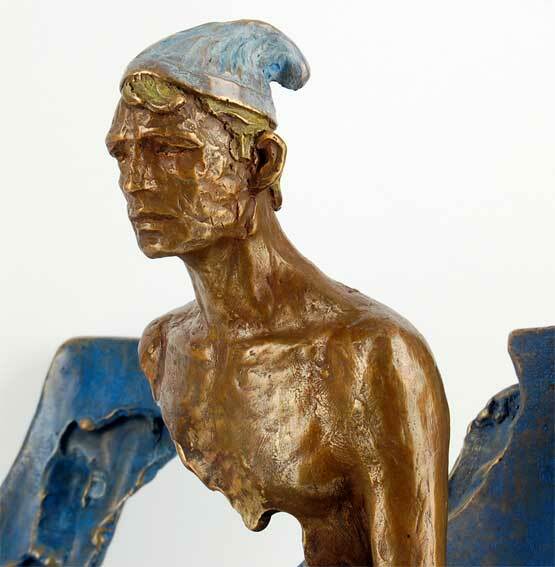 Instead your focus will only be on the gaping gaps that are there in the whole sculpture. 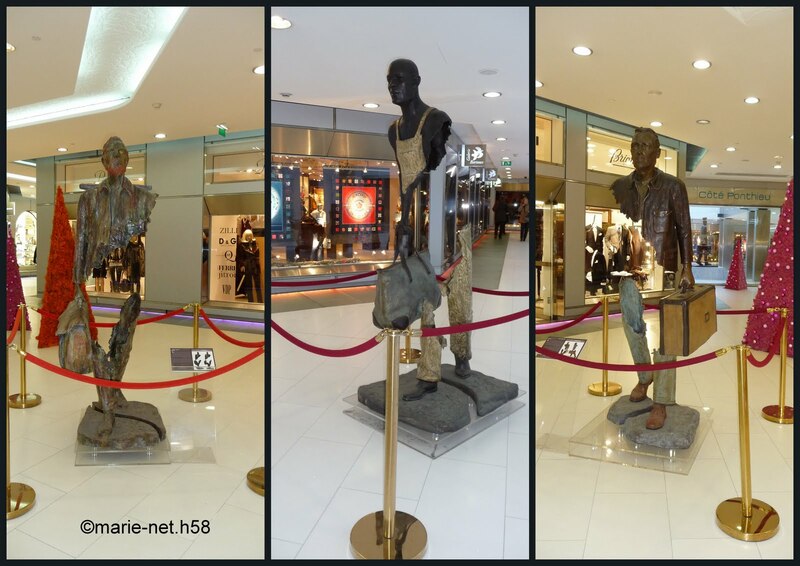 The thing is like art goes, these sculptures are not pretty but they have a beauty all their own. The point of art is often not only to please the eye and the senses but also touch us emotionally. 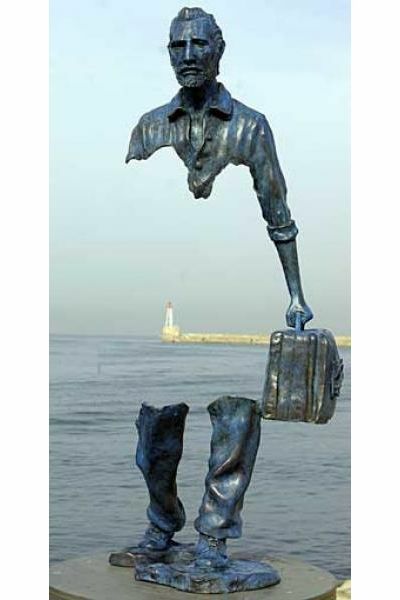 This is definitely true of Bruno Catalano. 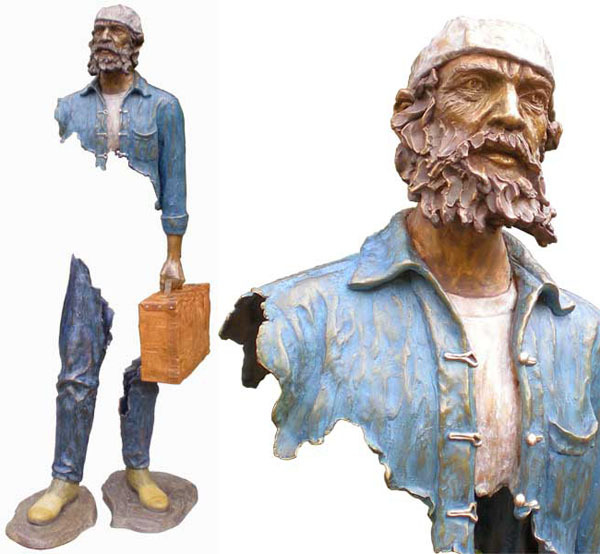 There is no way you can look at his sculptures and leave without being touched in some way. This is true not only for those passionate about art but also for those who are not much into art. One really has to marvel at the mind of an artist who has conceived this kind of art, then planned on doing it and then actually executed it and that too with such a lot of skill. 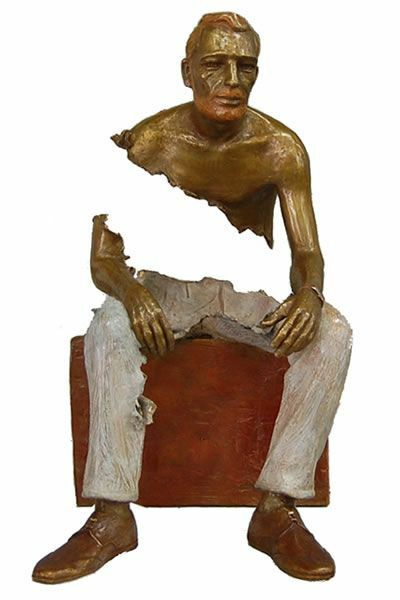 The broken man that features so much in many of Bruno’s work is no doubt a piece of art that you are unlikely to forget.